Pirates in the time of the Golden Age were almost always described as “swarthy,” a term that meant dark-skinned or suntanned. It was also something of a cultural slur. Rich people had big houses and stayed indoors. Poor people worked outside and suffered in the sun. In today’s world of SPF factors and air conditioning we can’t really grasp how damaging the sun can be, but 18th century pirates knew first hand. Sunburn is actually a form of radiation poisoning, and like radiation, it can kill. This surprises most people today, because we associate sunshine with a healthy lifestyle. Sunshine helps the human body to produce and store Vitamin D. It also helps the body produce serotonin, which improves mood and helps fight depression. Sunlight can also kill germs. But, like any good thing, too much can be harmful. Sun exposure is greater nearer the equator. In these regions, sunlight strikes the earth more directly, and is not scattered by the atmosphere. And many pirates came from parts of Europe which were not only far from the equator, but known for their cloudy weather. Because moderate amounts of sunlight are necessary for good health, people in these regions have lost much of their protective skin coloring. Their pale, unpigmented skin helps their bodies to absorb scarce sunlight. Even their hair and eyes are lighter. Did you know that brown eyes are a natural sort of sunshade for the eyes? When people from the northern parts of Europe came to the Caribbean, they suffered terribly from the sun. Deep sunburn damages the body’s DNA, which can cause cancer. 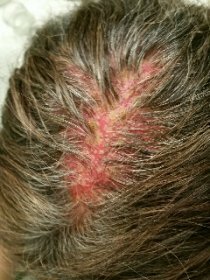 Burned skin cells turn red and dry. They dry, and can peel off. 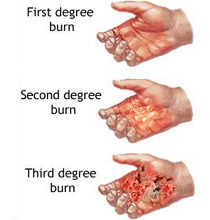 The body’s response to the burn is to rush blood to the area. This makes the area grow hot. Melanin production steps up, since melanin can absorb radiation. In extreme instances – second degree sunburn, the skin blisters, just as it would from a heat burn. A third degree burn really looks like a burn. The skin is bright, meaty red and falls off in chunks. Underlying tissue is exposed and damaged. The body loses moisture from the opening, and the victim risks shock, dehydration and death. 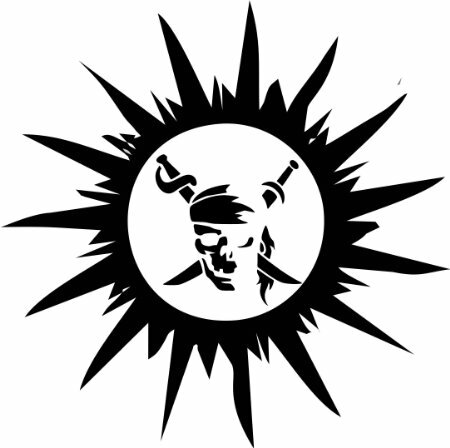 Why didn’t those early pirates use sunblock? Skin care for sunburn goes back to the ancient Egyptians, who used rice bran – a substance that actually does absorb UV rays. Native Americans used deer fat to make a paste of tannin, a plant extract. This also dyed the skin a yellow-brown shade. Mediterranean countries also used olive oil, which had no effect on the sunburn, but soothed the skin. Aloe vera, popular today, was a North African plant that had not yet crossed the Atlantic Ocean. 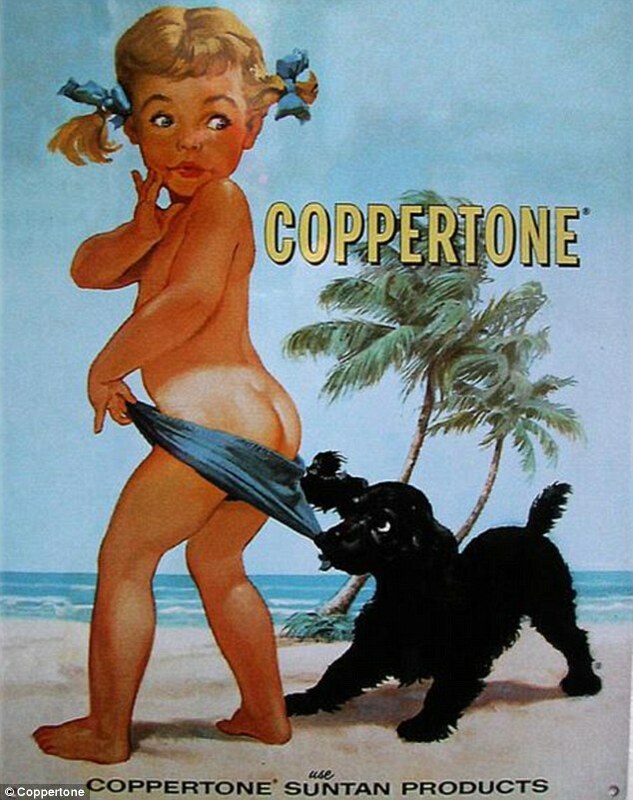 And modern sunscreens? The first of them would not be created and marketed until the 1920’s. And really effective sunscreens did not arrive until the 1950’s – 250 years too late for the pirates. Modern sunscreen uses one of two methods to protect the body. Some use plant extract to absorb UV rays, and others use chemical methods to scatter the UV rays. The SPF (sun protection factor) stands for the increased amount of time in the sun that the sun protection offers. In the modern world, the Food and Drug Administration regulates the claim that a sunscreen or sunblock protects the skin, and to what degree. An SPF of 15 allows a person to spend 15 times as long in the sun. 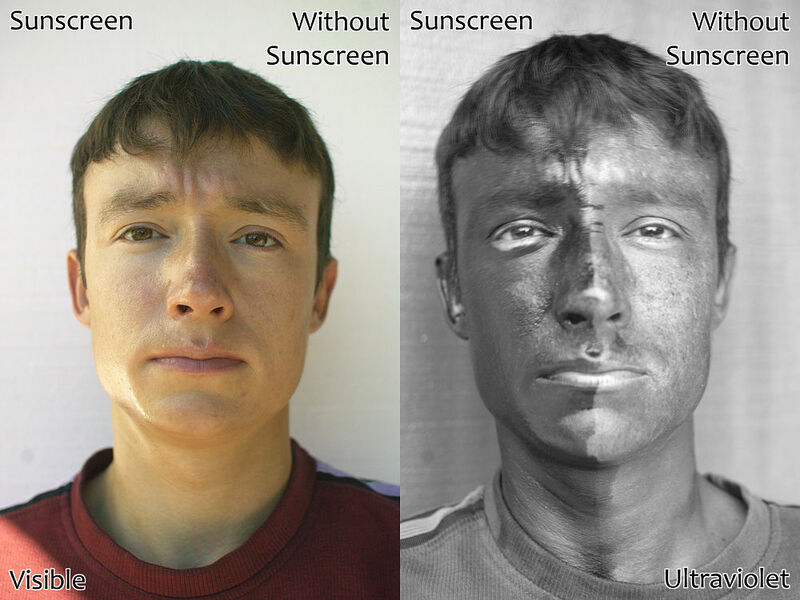 Regular application of sunscreen can offer real protection, but it must be renewed regularly. For best results, it should be applied 30 minutes before going out into the sun, and renewed about an hour after. Sweating or swimming requires more frequent applications. Even though you may not see the difference after exposure to moderate sunlight, UV photography can show an improvement. So what did the pirates do? There wasn’t much they could do. 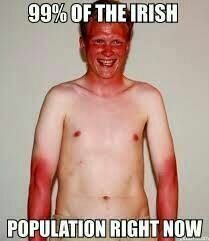 Most already had a “base tan” from years outdoors. But as a former inhabitant of a tropical state, I can affirm that this is not as much protection as one might suppose. In my tropical home, sunshine ate the finish off cars and woodwork, bleached fabrics and burned people who had worked outside for years. The only real protection was to stay out of it. One of the advantages of life on a pirate ship was that the captain and officers came from the same level of society as the crew, and knew their troubles. Many ships rigged canvas awnings to protect crew members from the sun, and you can bet that pirate ships did this regularly. So get your sunlight. But protect your skin as well. It’s the piratical thing to do. Thank you for this wonderful information in an easy to read format. I have a character that I have been abusing in terms of research and this really helps! Love this! Also, tbh I've found a linen shirt to be better sunscreen and cooler if there's even a hint of breeze than a tank top and sunscreen.